Aquatherm Green Pipe did that and also delivered other benefits. The homeowner sought to eliminate toxins and heavy metals from his domestic water distribution system. 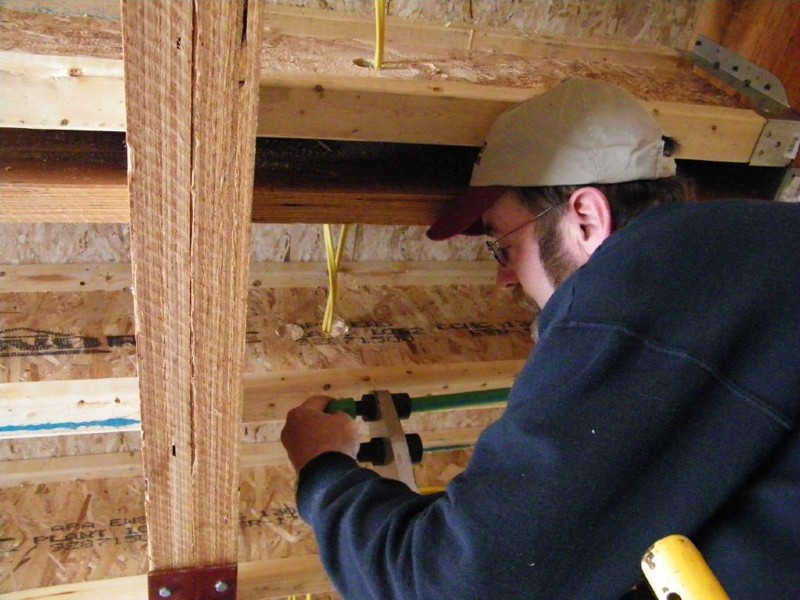 Mickey Dietrich sought a green piping option for his family’s new home in Lowville, NY. “I wanted to make sure that I knew I did everything I possibly could to make sure my family had the safest living environment that I could provide for them, while at the same time, also making the home as energy efficient as possible and trying to do it on a budget,” he said. In November 2009, he stumbled upon a unique and new-to-North America piping option while designing the 1,000-plus sq-ft home that would incorporate passive solar, geothermal, and other environmentally friendly features. “I didn’t want CPVC because of the solvents and glue that are needed. I didn’t want copper because of possible metals getting into the water and the expense. 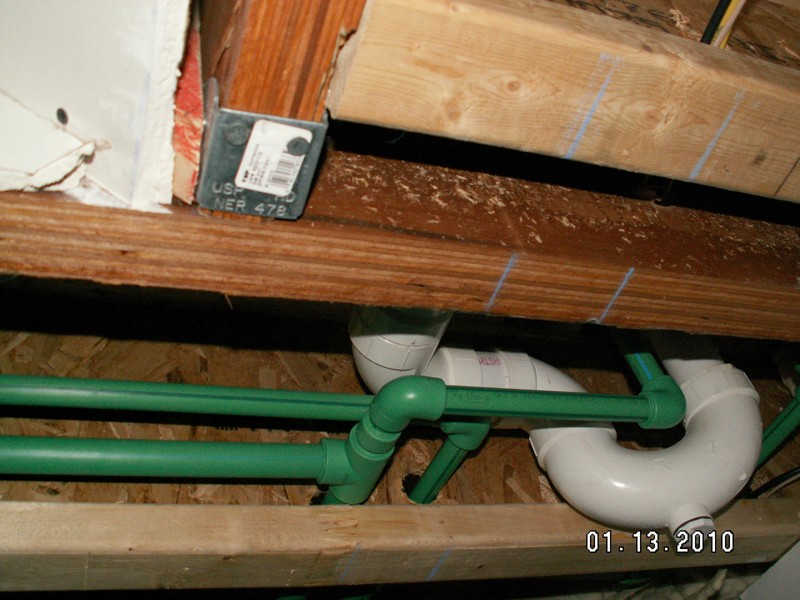 I didn’t want PEX piping because I had researched it and found that it could contain flame retardant and can affect the taste of the water you drink,” he recalled. Dietrich discovered Aquatherm, Inc.’s polypropylene-random (PP-R) pipe systems. Aquatherm is a fully recyclable system that has enjoyed nearly 40 years of success in over 70 countries around the world. The company makes pipe for nearly all plumbing HVAC and industrial pipe applications. Dietrich purchased Aquatherm’s welding iron for fusing up to 2-inch pipe, and he and his mechanical contractor, Stephen M. Ripp, of Ripp Construction, received on-the-job training from Aquatherm (necessary for the company’s unmatched 10-year warranty). Then they installed over 500 linear feet of Aquatherm Green Pipe, in sizes ranging from ½-inch to and ¾-inch, which supplies the home’s domestic water and a geothermal unit, which pre-heats the hot water.